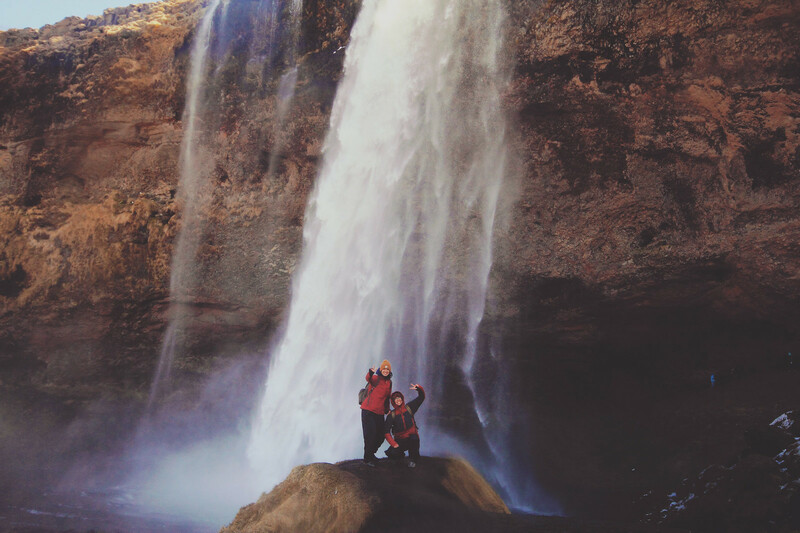 Between the water spitting geysers on the Golden Circle and the frosty diamonds at Jökúlsárlon we simply found ourselves in a waterfall galore. 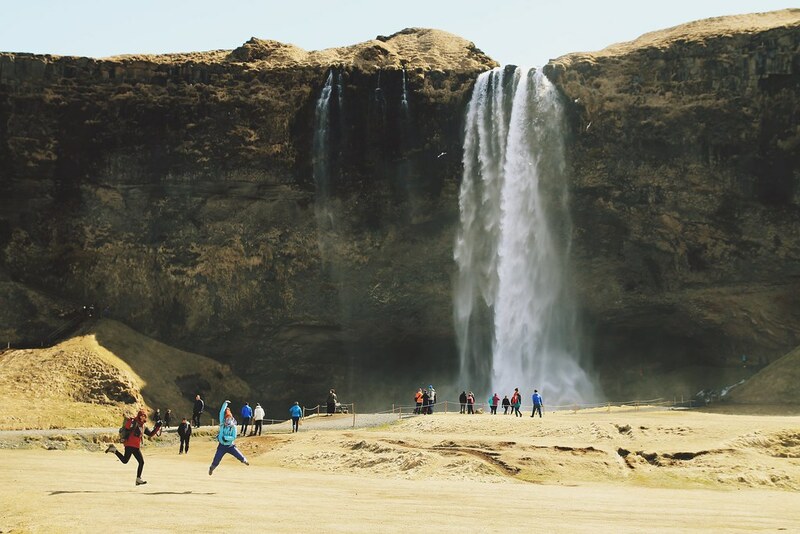 Besides the double cascading Gullfoss, three other highly popular waterfalls were on our agenda: Seljalandsfoss which allows you to peek behind its curtain, Skógafoss which showers you with rainbow smiles, and Svartifoss which plunges in between hanging basalt columns reminiscent of organ pipes. 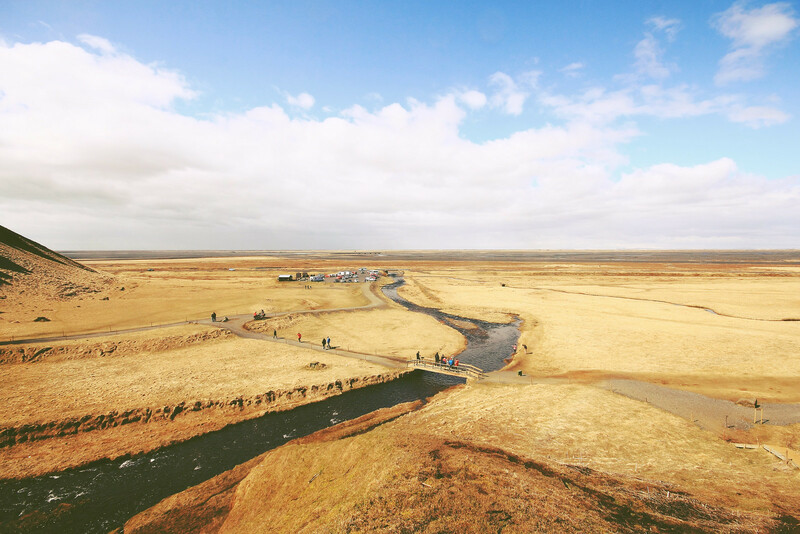 Seljalandsfoss is right of the Ring Road and can easily be spotted long before you reach it if you are coming from Reykjavík. 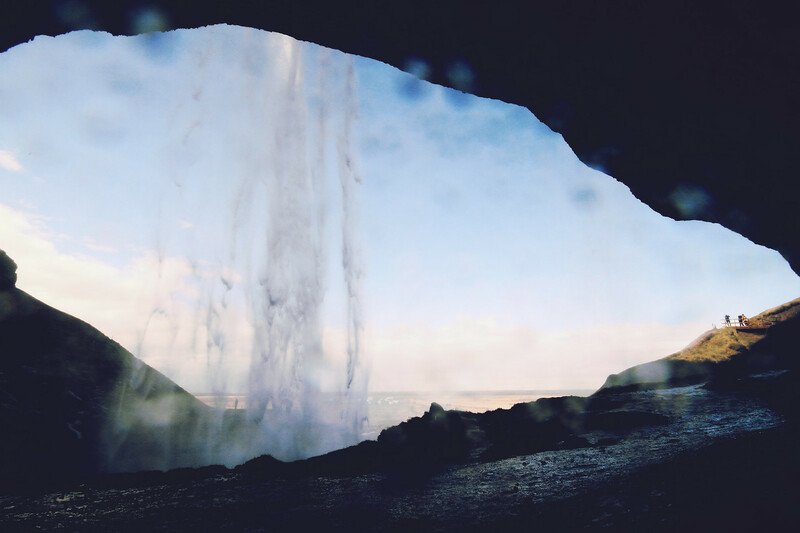 This particular waterfall has claimed its fame as it allows visitors to go behind its curtain. 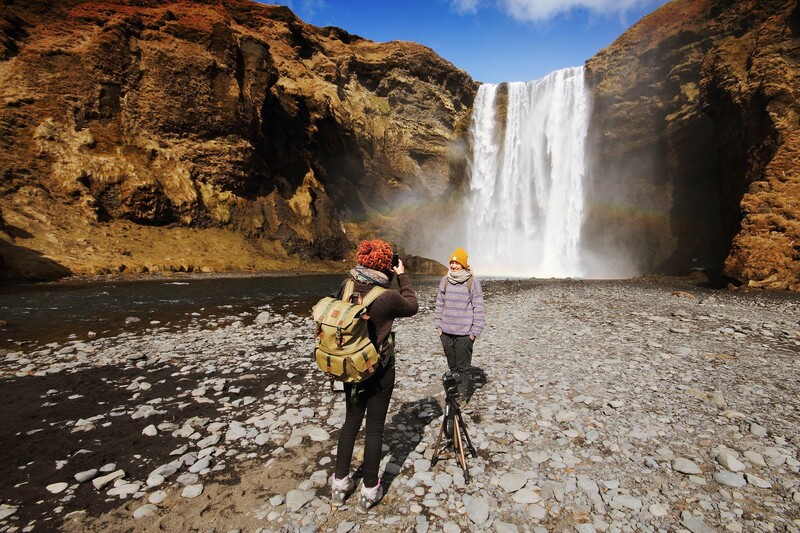 This gave us the possibility to photograph Seljalandsfoss from every angle imaginable. We tugged away our cameras and put on our raincoats as we were guaranteed a refreshing dusch. A well-developed loop trail led us backstage. It was a marvelous feeling - yet again, I was reminded of my small existence in this phenomenal world. For some reason I always gets surprised of how deafening and loud such cascading waters can actually be, but I guess it makes sense when you notice how powerfull the water is pounding towards the ground. We did not stay here for long, but if we had had the time, we would probably have taken a stroll along the mountain range and visited some of the many other waterfalls found along the road. 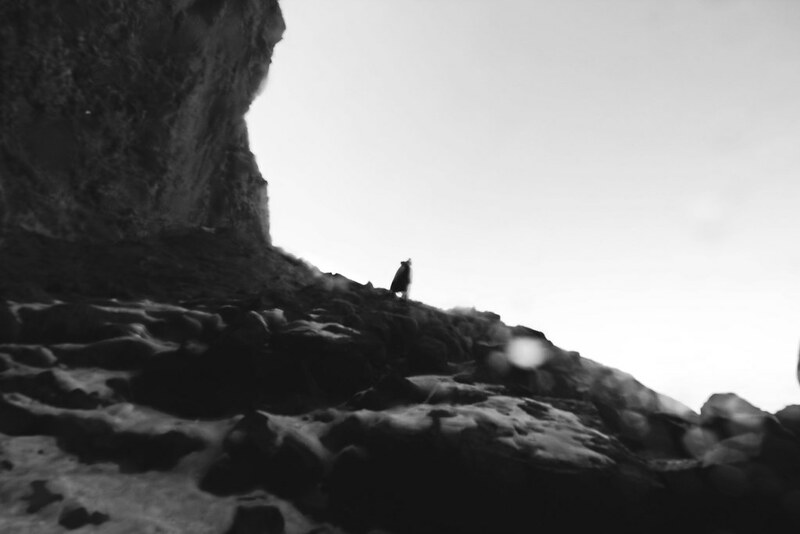 Hidden behind a large cliff you should be able to find Gljúfrabúi. From the outside you are only able to see the top of the waterfall. 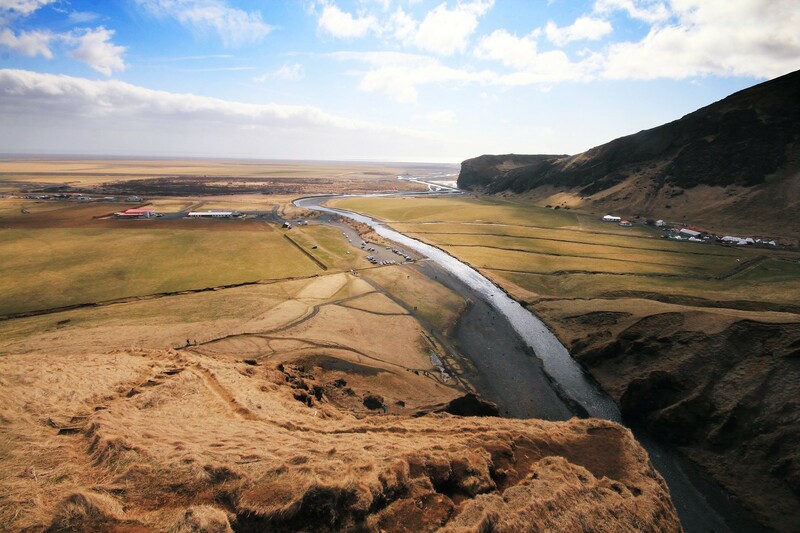 It should be possible to see Gljúfrabúi in all its splendour by wading the river into a narrow opening in the cliff or by climbing a steep path up the cliff. We heard that the seight is well worth the trouble, but extreme caution should be exercised when attempting to reach the fall. Next time! 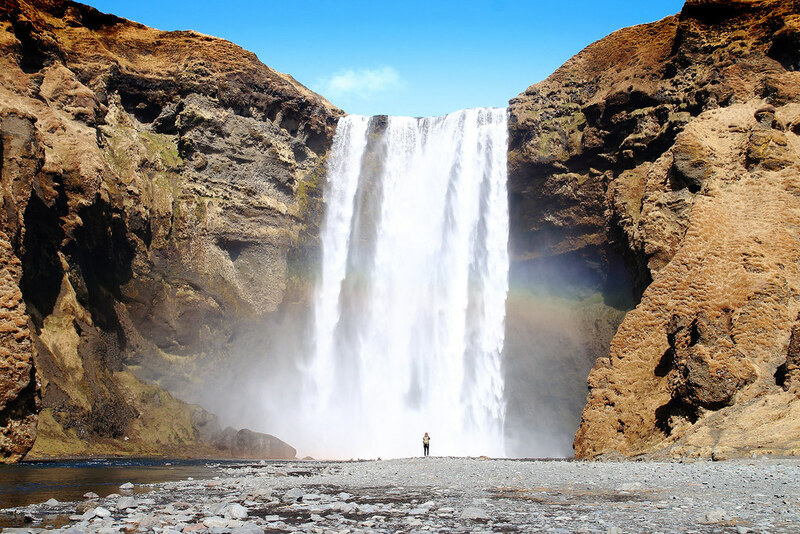 Skógafoss is half an hour drive from Seljalandsfoss and if you are a sucker for waterfalls, then you should definitely put it on your agenda. 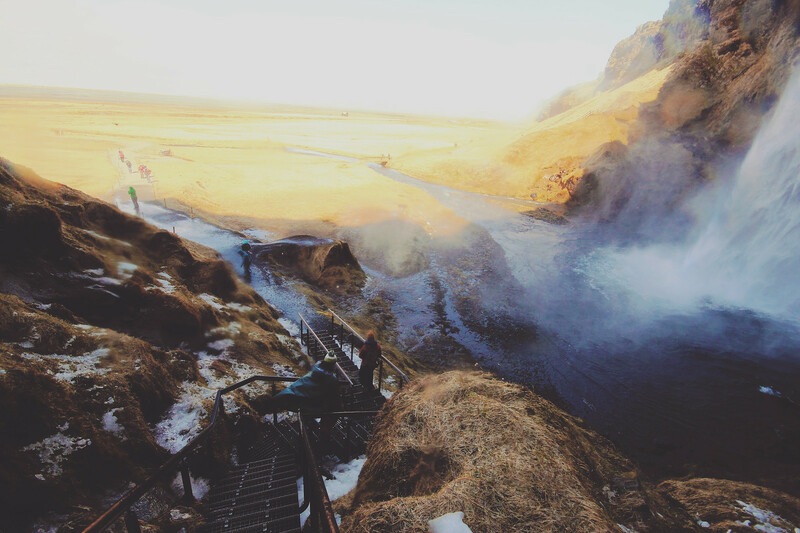 Skógafoss is beautiful, no doubt about that, but it didn't really do anything for me. Good thing the smiling rainbows where there to cast some additional shine on it. Just right to the waterfall you find a man-made stair case. We walked up the steep steps in hopes of getting an interesting view of the fall, but let me just tell you - save yourself the trouble, instead stay on the ground and simply enjoy the view. If you are up for some hiking however, this stair case is actually a great starting point for hikers, who want to trek to Landmannalaugar or Þórsmörk. 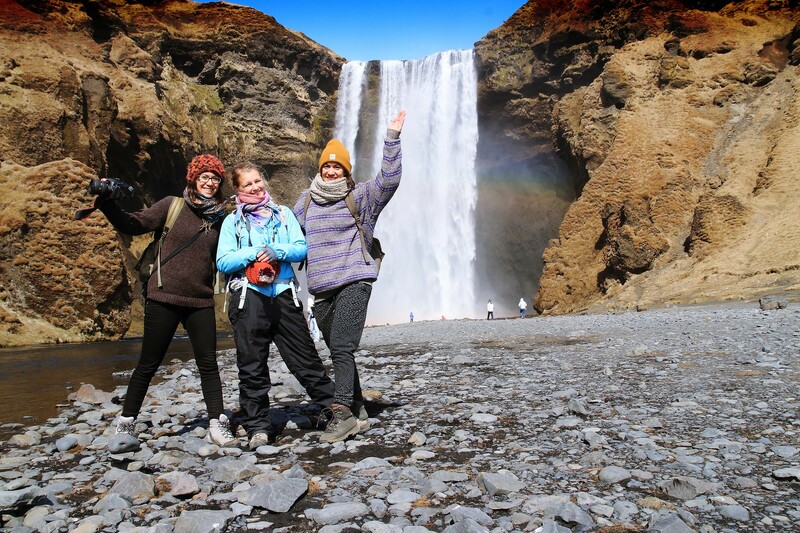 When researching about Iceland I found both areas to be highly praised and much loved by hikers. Svartifoss was in my eyes the most interesting waterfall of them all. 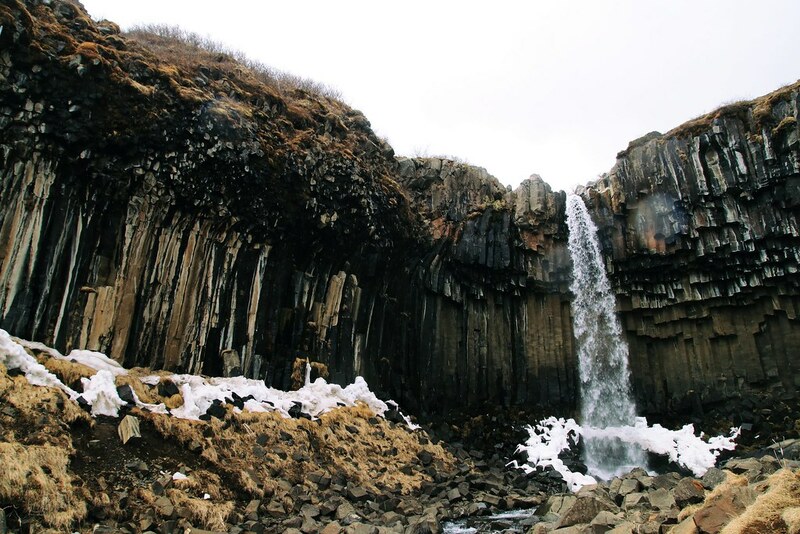 This solitary black waterfall is hidden away in Skaftafell National Park and compared to the other ones, it requires a little more effort to reach as you have to do an inclined 1.5 km hike. 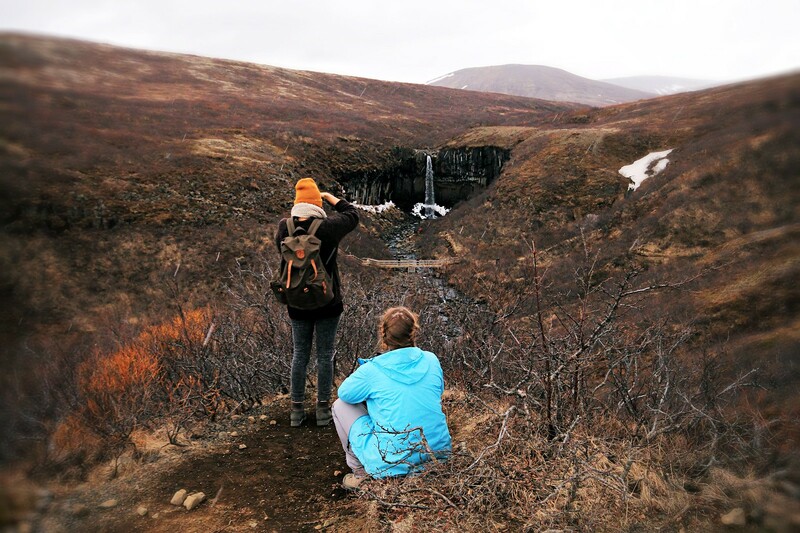 Skaftafell National Park is huge and is one of these places where you can hike for days through valleys and across glaciers without crossing another soul. So it is pretty darn lucky, that Svartifoss is only a couple of kilometers from the entrance. Rain was drizzling when we paid this blackster a visit, but it was the perfect touch - adding a melancholic feel to the scene. I talked about them before, these columnar jointed basalt looking like an organ pipe. 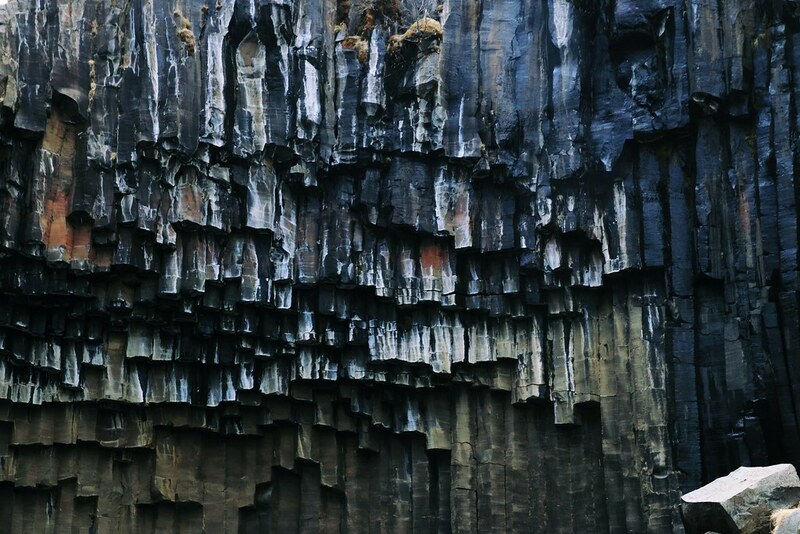 Here the columns are all pitch-black and serves as the walls of a spectacular amphitheater, which Svartifoss plunges itself into. 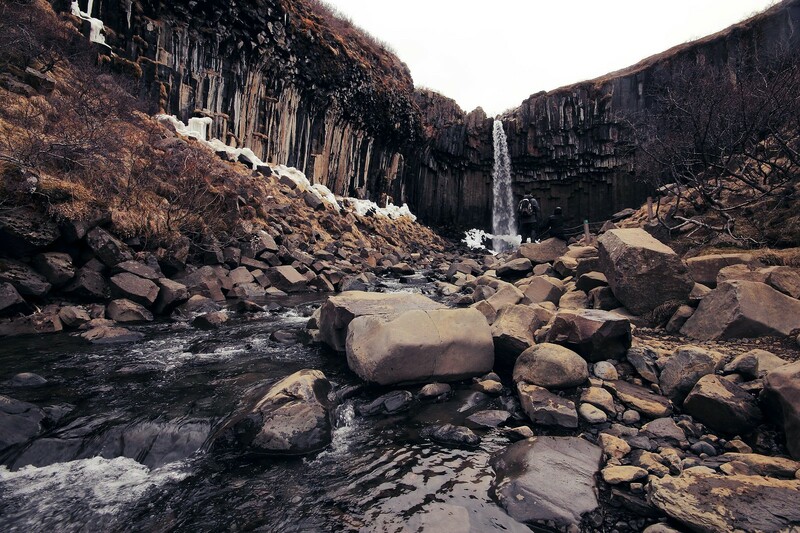 The surreal appearance of this iconic waterfall is the architectural inspiration behind Hallgrímskirkja in Reykjavík. 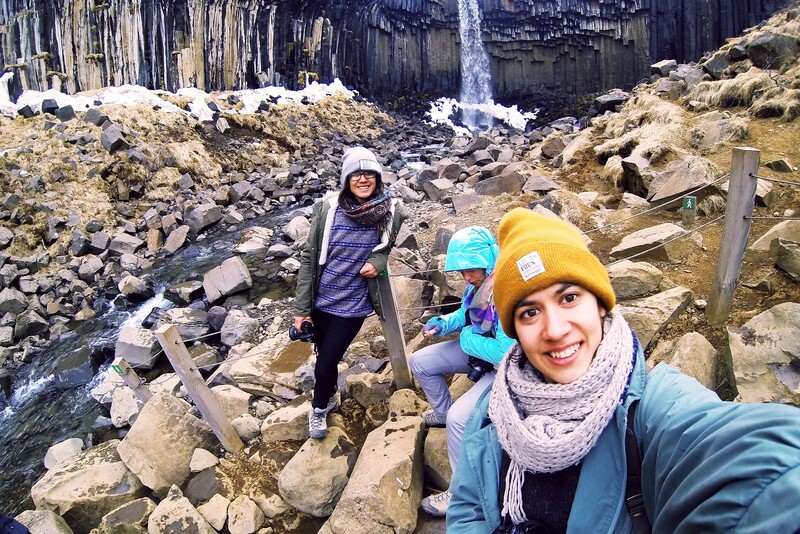 When we finally stood there, gazing upon Svartifoss, we completely understood why. Unfortunately we had to rush on, leaving little time to actually walk around and admire the waterfall from different viewpoints, but a long drive was waiting a head and night was catching up on us. Hvis i får tid til det og hvis i kommer op nordpå, så kan jeg klart anbefale at booke en overnatning på Båtsuoj Samecenter, det er et virkelig specielt sted og Sami-kulturen hører til en rundrejse i Norden, hvis i spørger mig! Og nej, du er ikke den eneste, der sidder med den følelse..